It’s a sobering reality—security resources have become commonplace in locations where they might not have been a few decades ago. Schools, courthouses, city halls, airports, and hospitals—these are all places that are seeking secure, quick access to weapons and gear in case of an emergency. 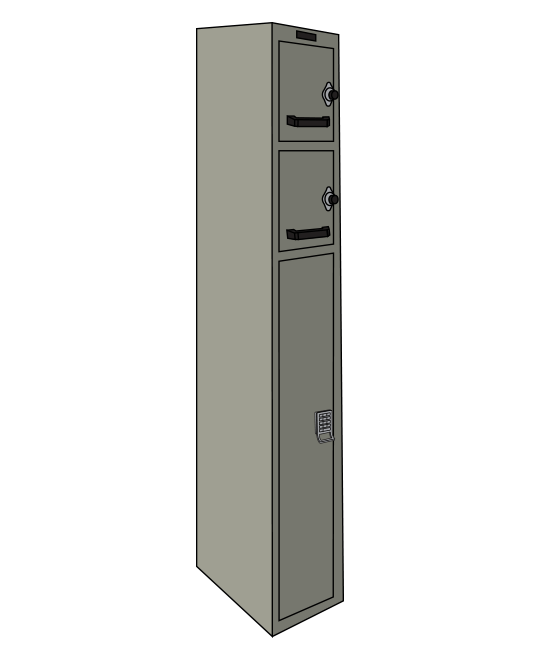 Spacesaver’s Fast Response Locker (FRL) pairs the safety and durability of a weapons cabinet with an unassuming design—creating a locker that offers the protection of a gun cabinet, but doesn’t look like one. 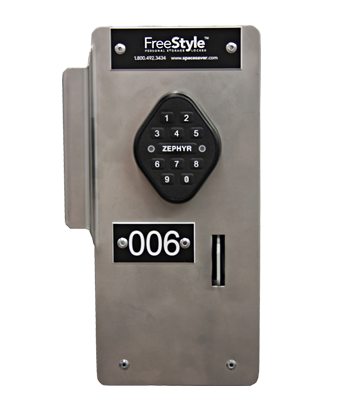 To learn more about our lockers and available configurations, contact one of our storage experts today. 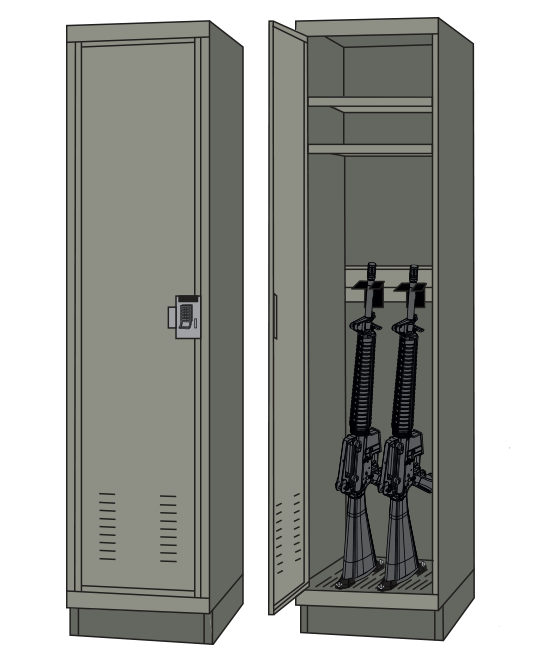 When a school district in LaCrosse, Wisconsin was looking for a custom locker to store a rifle on-site for a School Resource Officer, a FRL was designed with a bottom compartment large enough to store a rifle. 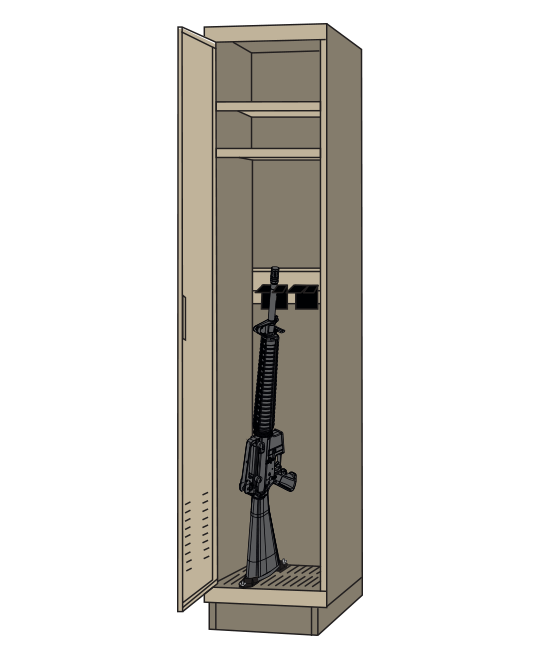 This compartment, outfitted with a digital lock and a weapons rail, allowed the rifle to be stored in an upright, secure position at all times. Two smaller locker compartments store evidence, gear, and ammunition. Many large healthcare institutions host prison inmates when they’re in need of medical care—and in many cases, police officers are often assigned to large hospital hubs. 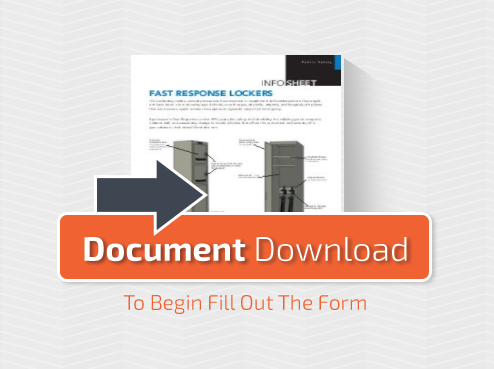 There are plenty of opportunities for emergencies to arise, and a weapons locker designed to look like a regular cabinet in an office or in a supply area could make a difference in being able to react quickly. These two facilities are accessible to everyone—meaning that they’re also vulnerable to random acts of violence. Many airports are starting to explore the placement of fast response lockers throughout their buildings in an effort to respond swiftly to security issues, and courthouses are also following suit. Need More Information? 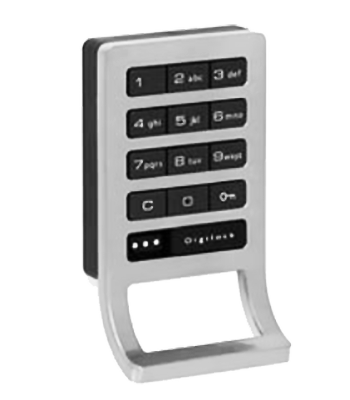 Contact A Storage Specialist!